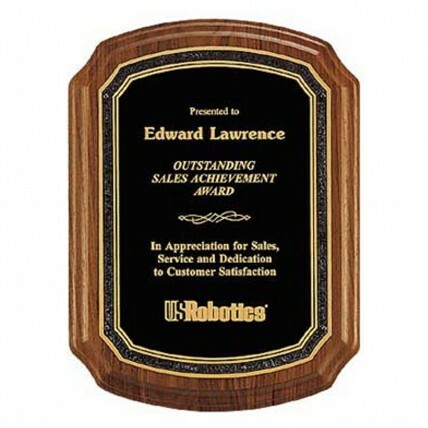 An outstanding award deserves a personal touch. This Florentine Border Personalized Wood Plaques are made of solid American walnut. This bestselling plaque has corner detailing and a textured engraving plate. 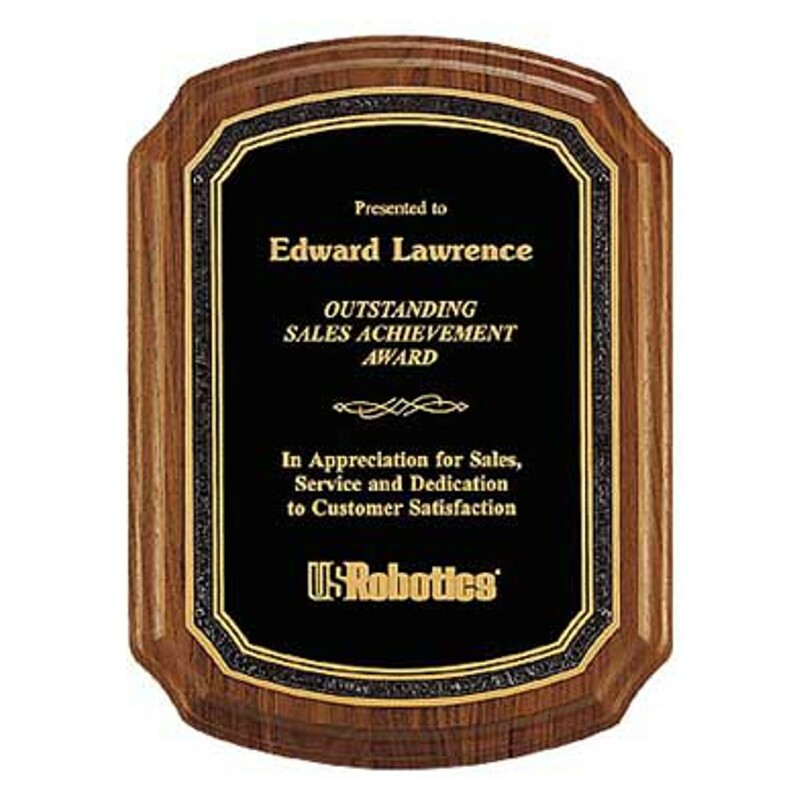 Personalize your plaques today with a choice of 4 sizes. Small: 5.625"x6.625", Medium: 6"x8.5", Large: 7.125"x10.125", Xlarge: 8.5"x11"